With temperatures finally cooling off and the start of the school come and gone, fall is officially upon us. 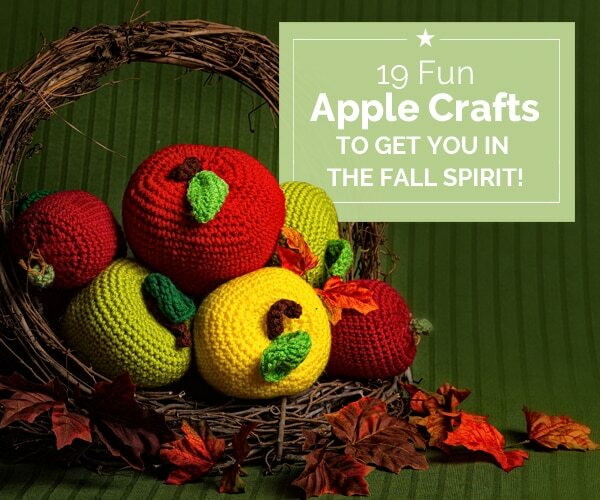 What better way to get your family, home, and tummy in the autumn spirit than with apple-themed crafts, foods, and projects. 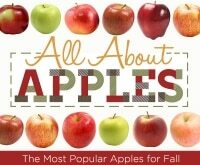 Thanks to their vibrant reds and greens and classic round shapes, apples are easy and fun to re-create in a variety of mediums. Whether you are looking for a fun fall craft to keep little hands busy or a festive decoration for your home, I’ve got you covered. 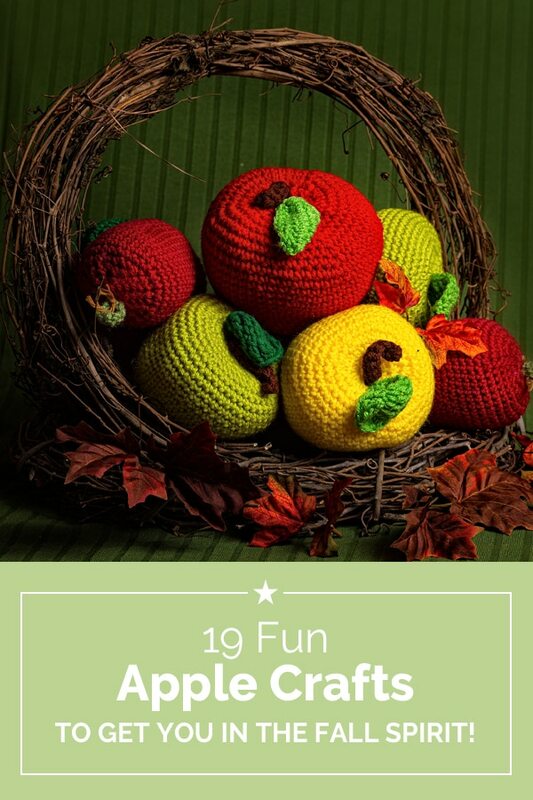 I’ve rounded up 19 of the most cute and fun apple crafts around that will be sure to get your family in the sweet spirit of fall! 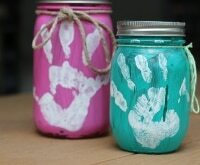 Keep little ones happy and busy with 25 more easy crafts for kids! 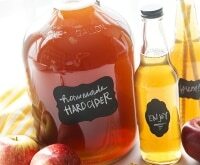 Thanks to their shape, jars are a wonderful item to transform into apple-themed crafts. Use them as decorations or fill them with your favorite candies — the possibilities for cuteness are endless! 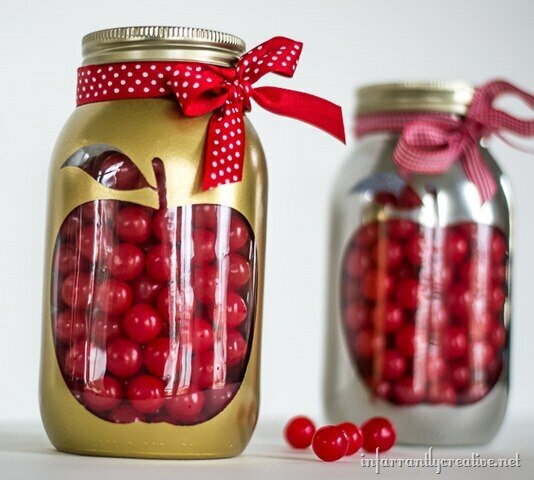 Repurpose spaghetti sauce jars with an apple paint treatment and bright red candies to make a sweet treat any friend would love. 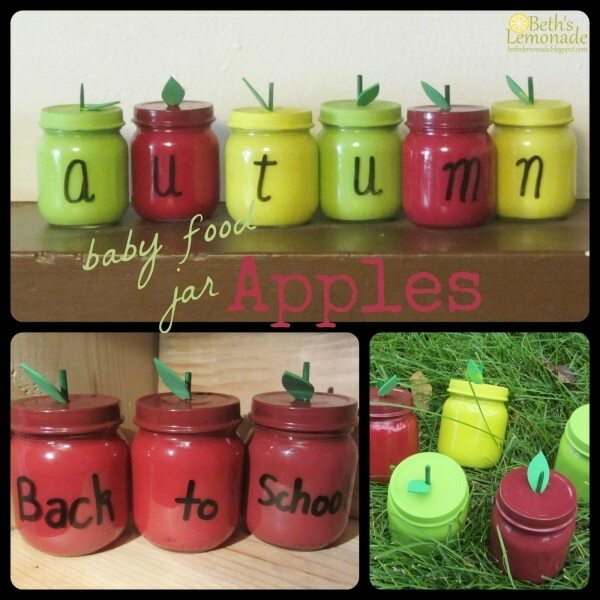 Do you have a lot of baby food jars leftover? 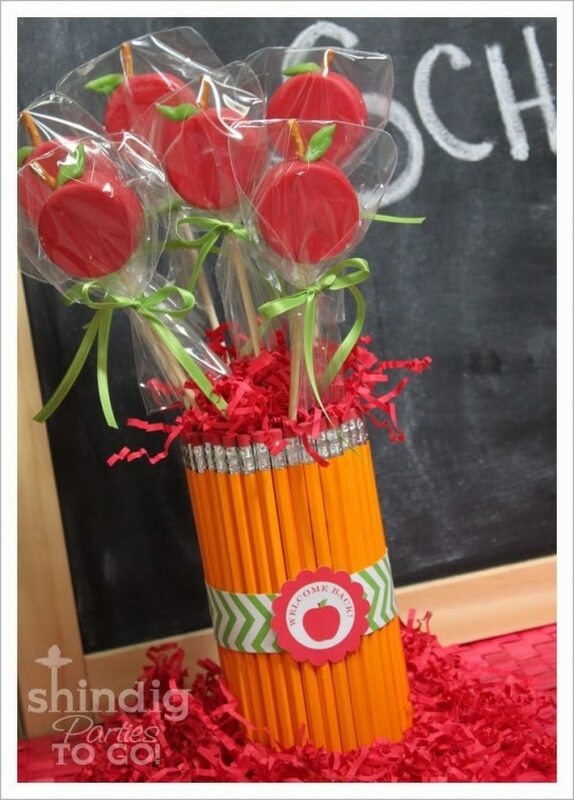 A simple paint job and the addition of stems can transform them into a darling apple-themed centerpiece. Find Gerber® coupons here and save on your next shopping trip! 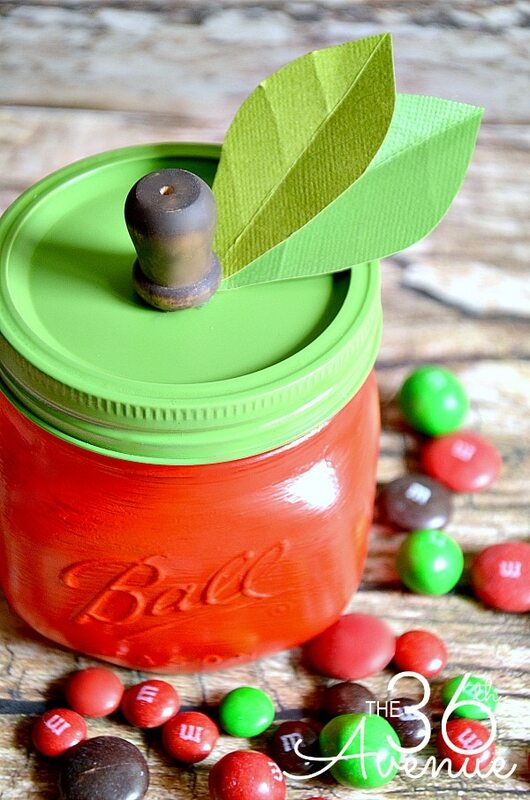 Paint mini mason jars in red and green, add a simple wooden dowel for a stem, and you’ll have an adorable little apple jar to fill with red and green sweets! Check for M&M’s® coupons before you fill up your jars with red and green treats. 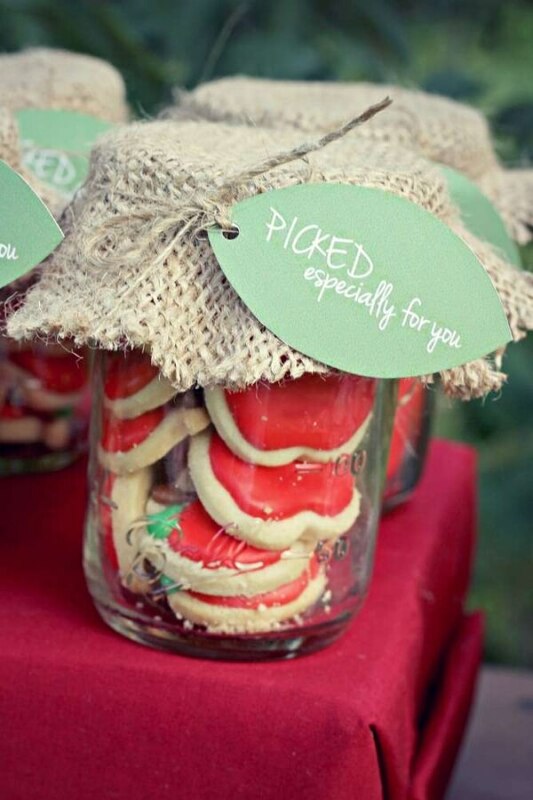 Transform a simple glass jar into a “barrel of apples” by filling it with adorable apple cookies and adding a rustic burlap topper. 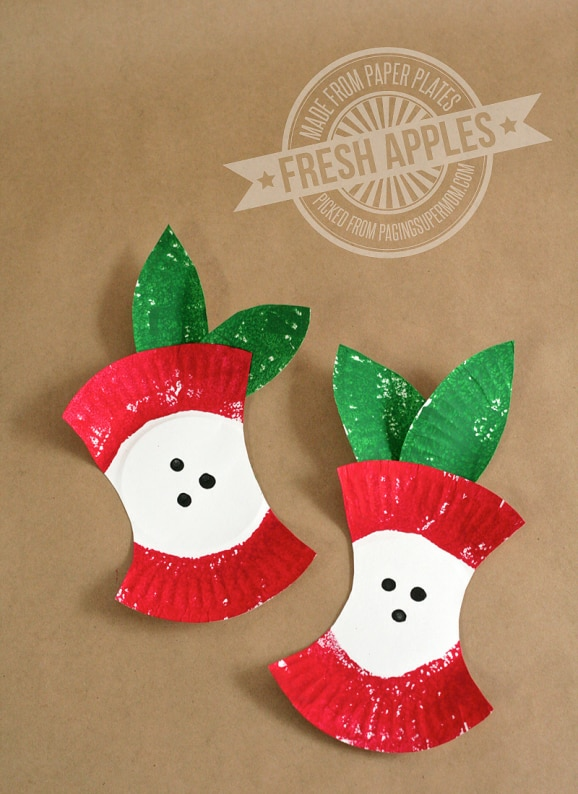 Thanks to their round shape, apples are fun and easy to re-create with paper. 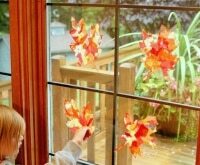 Any of these simple projects usher in fall in your home. Also be sure to check out these other 25 fall DIY projects that bring the outdoors inside. This darling apple wreath is made from paper. 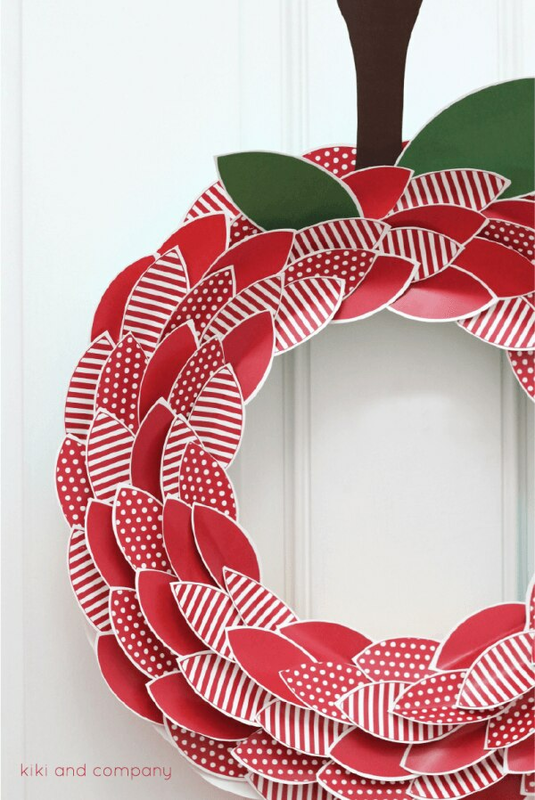 Just print the designs out on your home printer and cut and glue to a wreath form to make a festive door accessory. 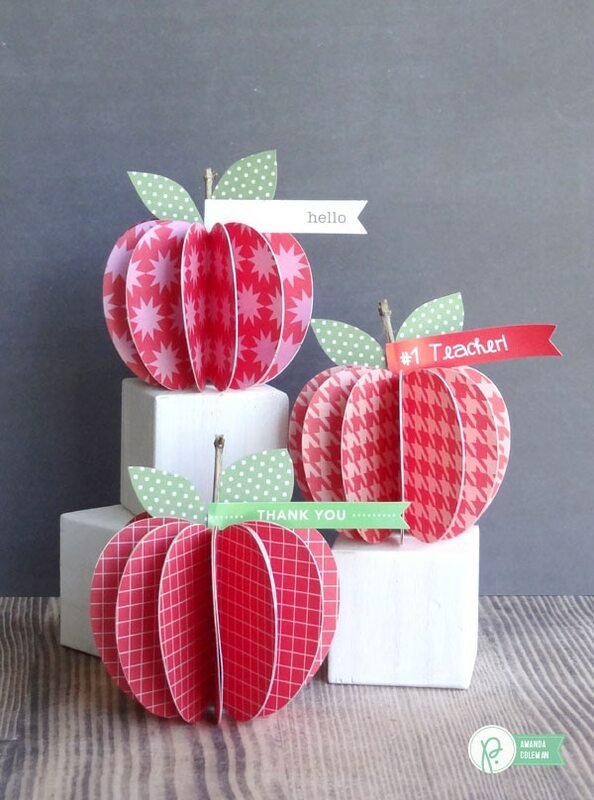 Fold circles of paper in half and glue them into a sphere to create pretty, patterned 3D apples. Put them in a basket, hang them from the ceiling, or glue them to a wreath for a long-lasting apple display. 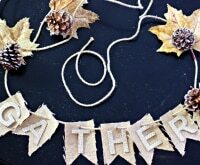 This no-sew garland made of paper, fabric, and ribbon would make for an adorable accent on a fall-themed mantel. 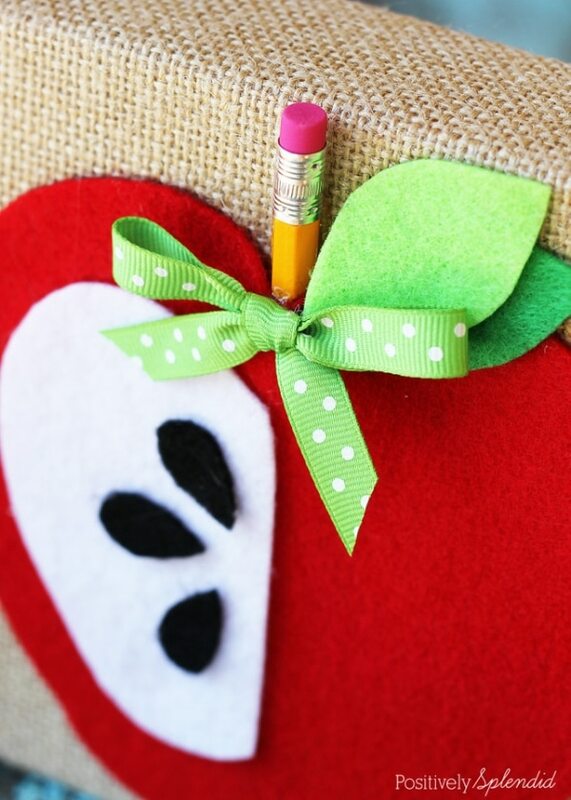 Decorate bookends with felt apples to make a simple and sweet gift for your favorite teachers. While apples certainly conjure up thoughts of pies, streusels, and other tasty treats, here are a few crafty ways to make other foods fit into the fall season. 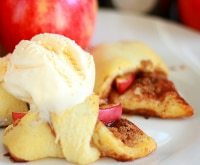 You can also find 14 more apple-themed treats here. Dunk Oreos into melted red chocolate to create an adorable arrangement of cookie apple pops. Frost simple cupcakes with red frosting and add a candy stem to make quintessential fall birthday treats. 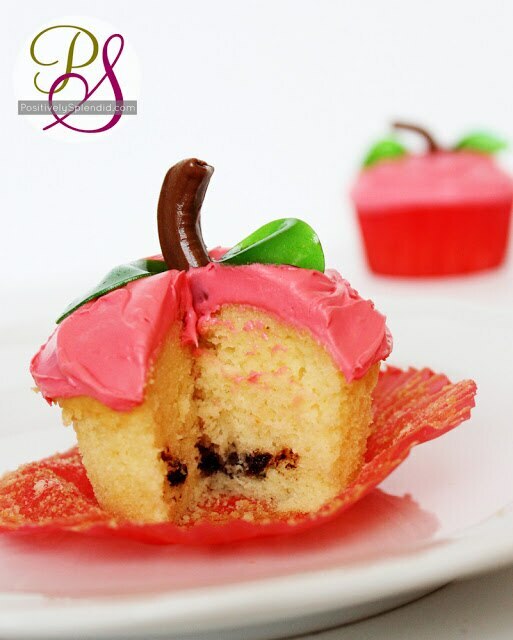 Don’t forget to add chocolate chips to the batter to look like apple seeds! 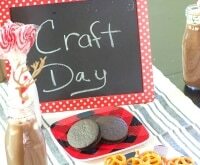 Apple crafts are a favorite of kids and teachers alike. 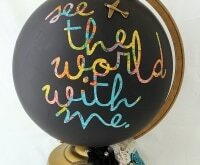 Not only are they fun to make, but they also provide a variety of teaching points. 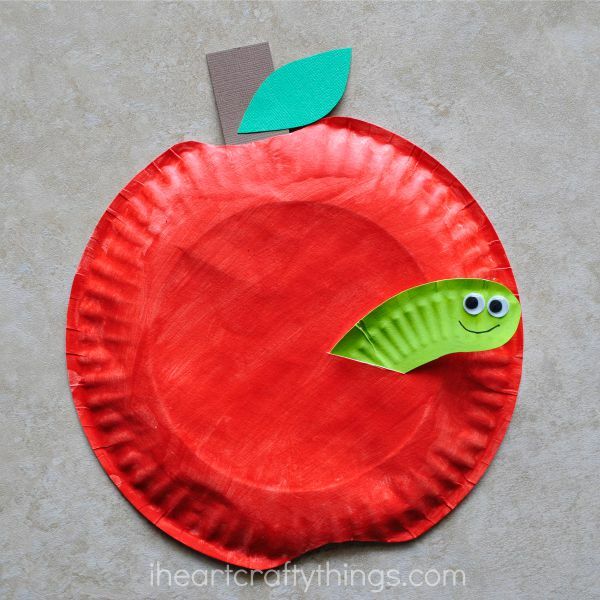 Here are a few of our favorite apple crafts every kid will surely enjoy. 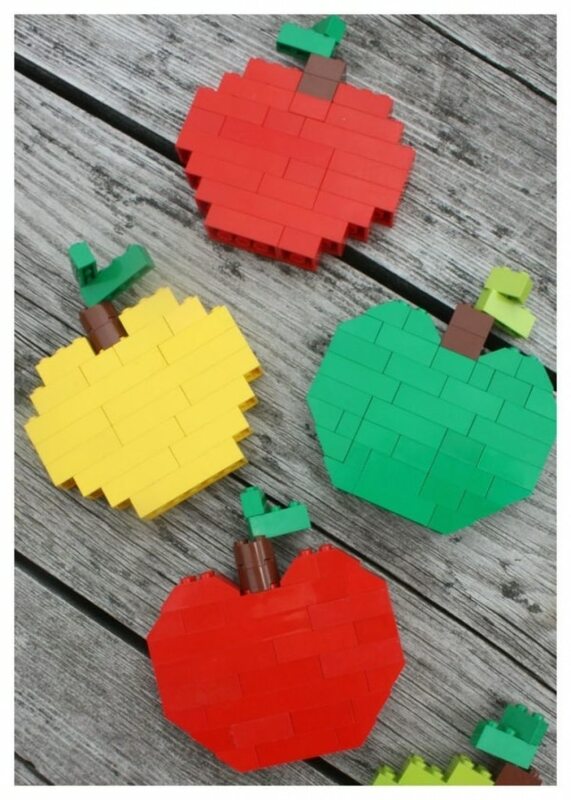 Get your little builder into the fall spirit by stacking red, green, and yellow Legos® to look like apples. 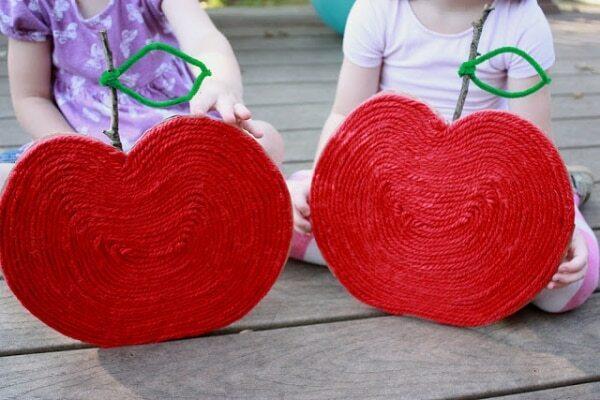 Cut apple shapes from cardboard, then let your kids work away at filling in the cutout with strings of red yarn. This is a great project for keeping young ones busy for a while! 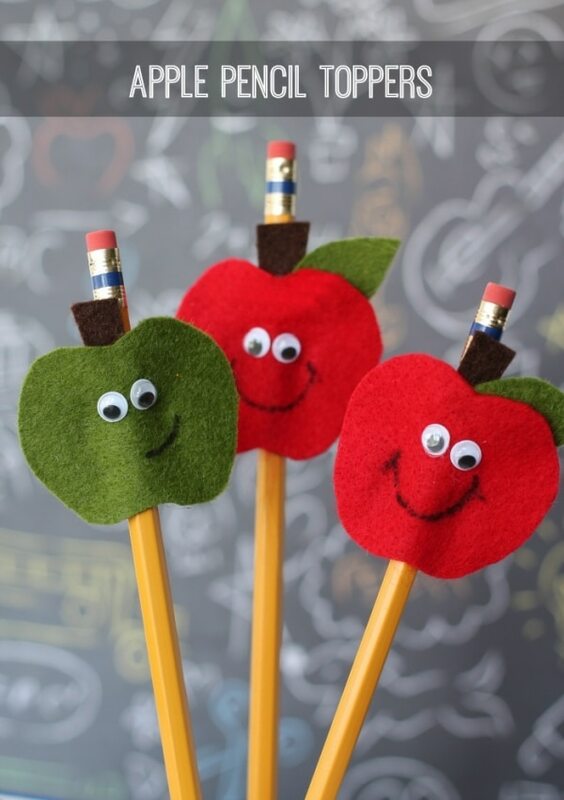 Cut apple shapes from inexpensive felt and add them to the tops of pencils to create simple and budget-friendly back-to-school favors for the whole class. Not only is play dough fun to play with, but this sweet-smelling variety will have the kids calling out for some home-baked pie. 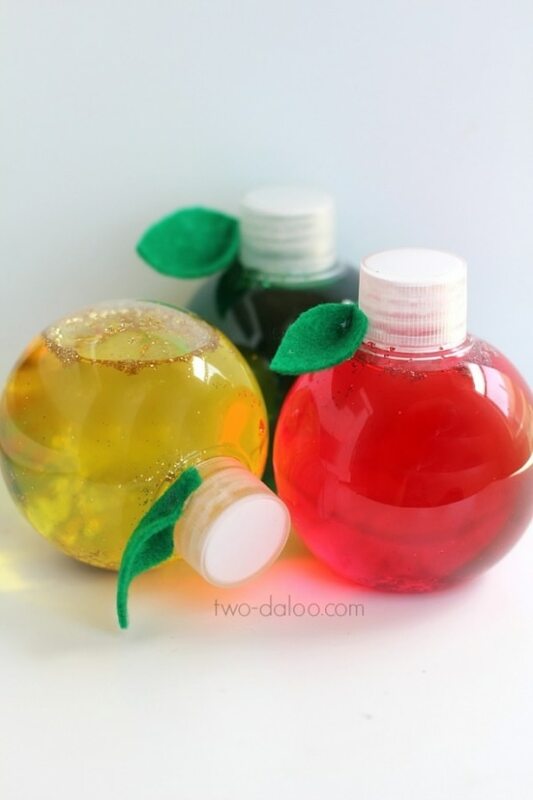 For little ones, fill small round bottles with colored water, glitter, and other treasures to make fall-themed sensory bottles. Just don’t forget to glue the caps on. 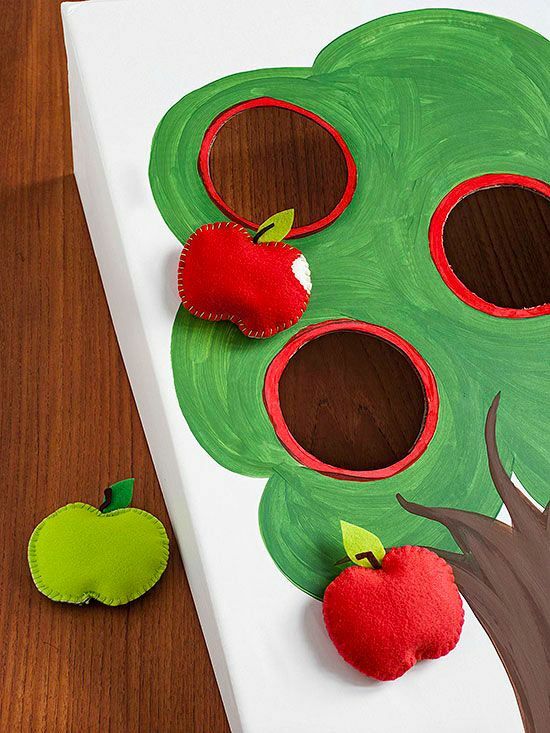 For a neighborhood fall festival or a rainy day at home, an apple-themed bean bag toss will keep everyone entertained as the temperatures start to cool. Spend a chilly day cozied up inside with some red yarn. 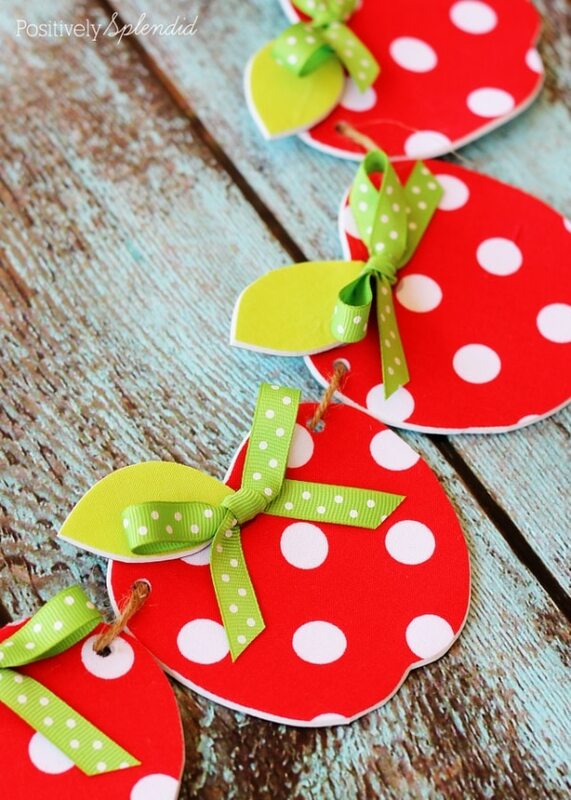 Wind it around in a circle and then trim to make adorable, apple-shaped pompoms. 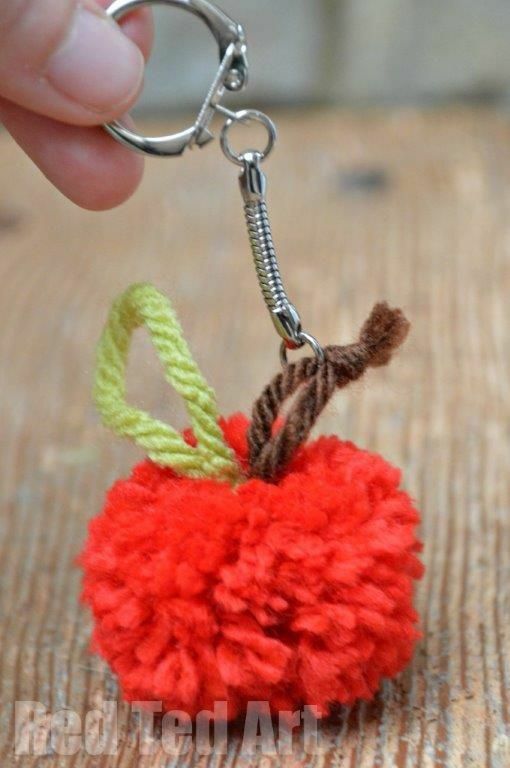 Turn the pom-pom apples into garlands, key chains, or other festive accessories. Paper plates and paint are all you need to create your own hungry caterpillar! 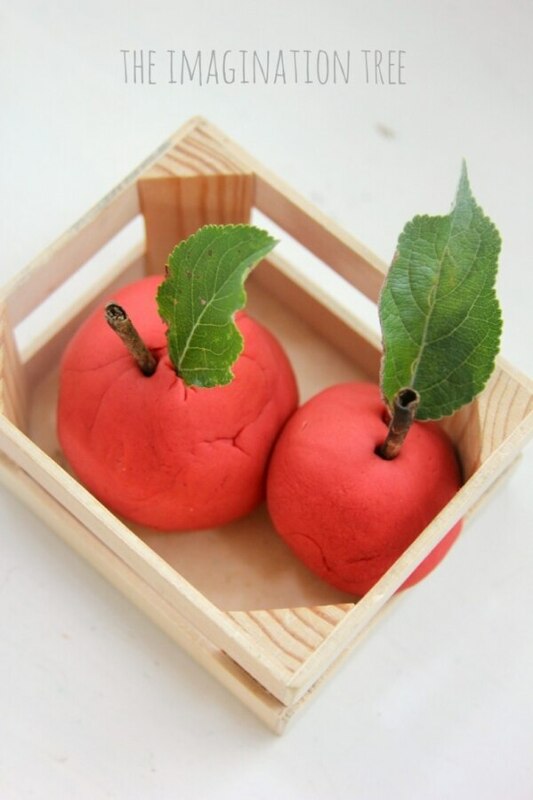 Let the kids make apples in a variety of colors to create an entire apple tree. These adorable apple cores are made from a single paper plate. Trim off the sides and paint them green for the leaves. 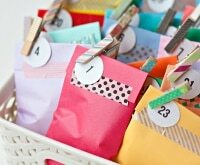 Make a bunch to decorate a party table or classroom. Pssst! Many of these apple projects can become pumpkin projects if you swap red paint for orange. Check out these other clever ways to re-create pumpkins or apples for the home!